Napa Valley Museum Yountville is located at 55 Presidents Circle, Yountville, CA, 94599, adjacent to the Lincoln Theater on the grounds of the California Veterans Home. 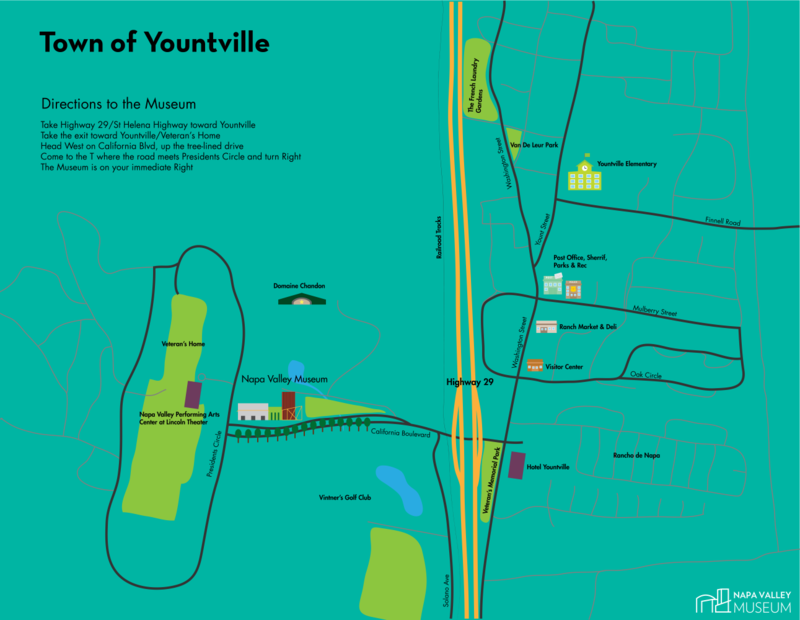 Our mailing address is PO Box 3567, Yountville, CA 94599. 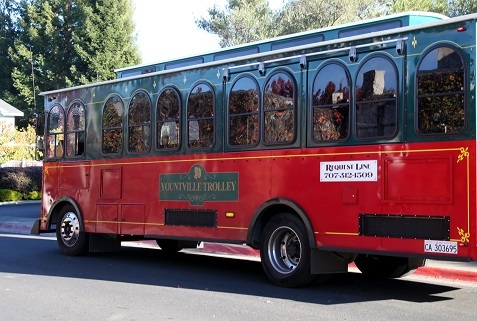 The Vine (Napa Valley Bus System)-Route 10 or Vine 29 Commuter Express.